The Kenan Moral Purpose Award is given for the best undergraduate student essay on the role a liberal arts education plays in students’ exploration of the personal and social purposes by which to orient their future and the intellectual, emotional, and moral commitments that make for a full life. 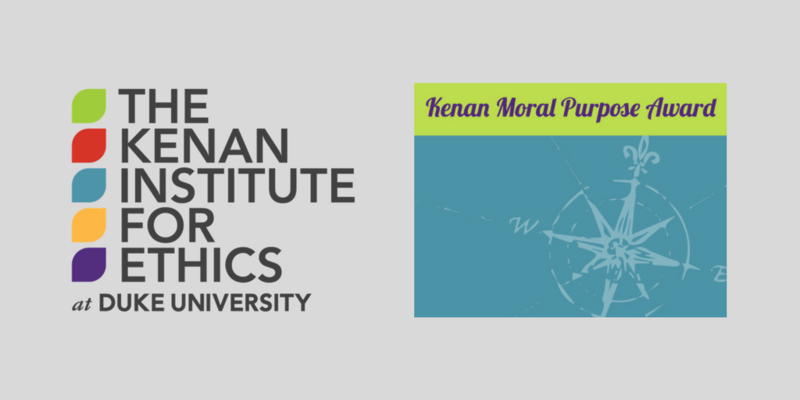 Established in honor of the Kenan Institute for Ethics’ 15th anniversary at Duke and subsequently expanded, the award represents a partnership with the Parr Center for Ethics at the University of North Carolina at Chapel Hill. One winner from each school receives $1,000. Students must submit their essay by 5:00 p.m. on Friday, March 16, 2018 by emailing a Word or PDF document to amber.diaz@duke.edu.